Busy weekend with the conclusion of Big Japan’s Ikkitousen, as well as Champion’s Carnival marching on in All Japan’s calendar and Noah’s Global Tag League. Usually I go alphabetically but I’m going to start with Big Japan as this was a big weekend for the promotion as all the pieces came into place to set the card for Endless Survivor on the 5th of May. Big Japan Pro Wrestling: Results and bits from the Sapporo weekender. On day 1, 13.04, the semi finals of this years Ikkitousen took place with Masashi Takeda defeating Abdullah Kobayashi and Isami Kodaka defeating Toshiyuki Sakuda, setting up a rematch of last years great encounter over the BJW Death Match Championship. 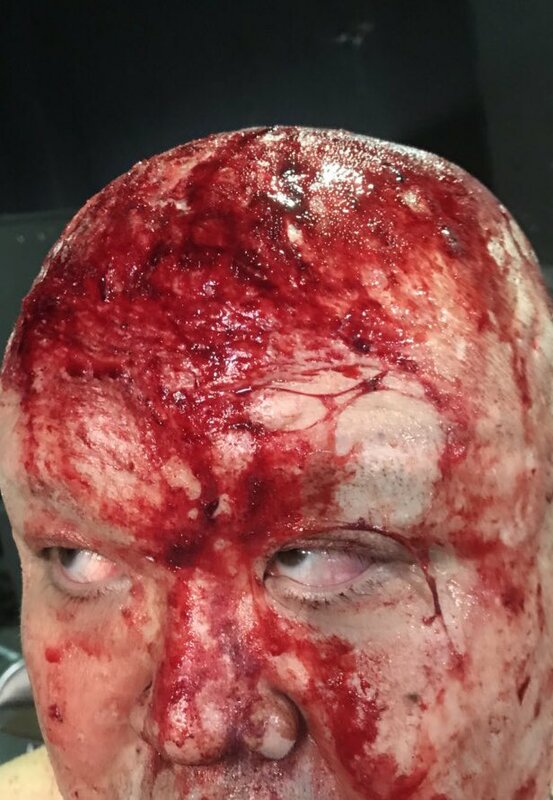 The results of going through a death match with the Crazy Kid, Masashi Takeda! 14.04, the 2nd day in Sapporo saw the conclusion of the mini tournament to determine the number one contender for Sekimoto’s Strong World Heavyweight crown as well as the final of Ikkitousen. Kobayashi-gundam also with a victory on this card. Yuji Okabayashi defeated Daichi Hashimoto to become the number one contender. Isami Kodaka defeated Masashi Takeda to win the Ikkitousen 2019. Following this event, the card for Endless Survivor 2019.5.5 was determined. All Japan Pro Wrestling: Champions Carnival 2019 standings as of 14.04. Dramatic Dream Team: Following DRAMATIC TENJINBASHI! 2019 on the 14th in Osaka,a number of title challengers were set, Kazuki Hirata & Maku Donaruto will challenge Daisuke Sasaki & Soma Takao for the KO-D Tag Team Championships, Honda looks set to challenge HARASHIMA for the Extreme Championship while Makoto Oishi challenges Tetsuya Endo for the KO-D Openweight Championship. Dragon Gate: The MaxiMuM representative will be Naruki Doi, while in a surprise, Big R Shimizu will represent R.E.D in the Steel Cage match at Dead or Alive. On the same Korakuen show, Aagan Issou reunited in a losing effort against Tribe Vanguard including a returning Maria! Punch Tominaga is returning to action on the 24.04, as Natural Vibes face R.E.D. Pro Wrestling NOAH: Global Tag League standings following Sapporo weekend. Stardom: Jungle Assault Nation have been forced to disband following the leaders 5 way match. Heartbreak yet again for Jungle Kyona! Results/news sourced from official websites, Hisame, purolove.com, All Japan English on Twitter.